The drought in California is breaking records, and recent data suggests that the state may have just one year of water left. Local agencies have taken on a number of large-scale projects to ensure that the water keeps on flowing through farms and households, using everything from desalination plants to make seawater drinkable to massive water reuse and reclamation endeavors. But there’s plenty that the average person can do at home—from harvesting rainwater to retrofitting bathrooms—that can help to conserve water and make it through drier years to come. 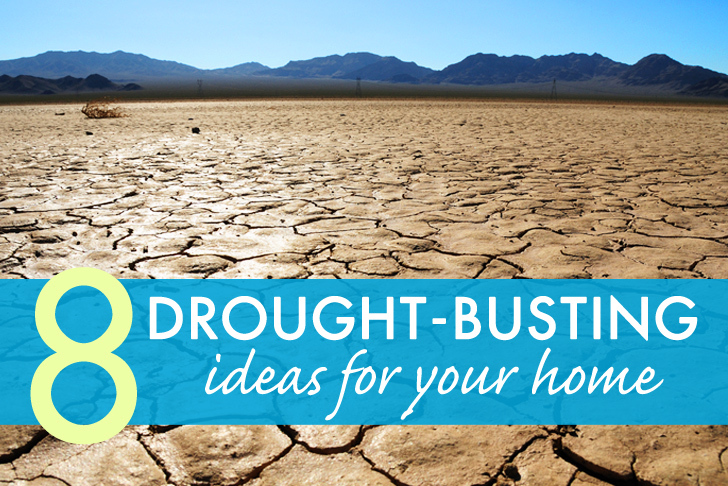 Read on for our top 8 water-saving ideas, whether you’re in the heart of the drought or beyond. If you’re trying to save water, it really helps to know how much you’re using. While the most egregious offenders—looking at you, baths and toilets—may be pretty obvious, a smartphone app that tracks where your water goes, when, and how much you’re using, gives you far greater control. DropCountr’s founders claim to have created “the first mobile app to connect consumers with their water use, empowering them to save water and money.” Not only does it track your water usage, it alerts you to possible leaks and allows you to set consumption goals for the month. DropCountr may be the first app of its kind, but it certainly won’t be the last. The Water Hero is a stand alone module that attaches to your municipal water meter and communicates info on usage via smartphone app. Not only that, but it can alert one to leaks and provides an auto-shut off measure if a problem is detected. It was successfully funded on Kickstarter late last year, and delivery will begin this Fall. By now we’re all used to looking at the EnergyStar ratings on appliances when we’re shopping around, but did you know the EPA has launched an initiative to give a shout out to household appliances that conserve water? Not only that, but you can search their website to see how your toilet, shower head, or weather-based landscape irrigation system stacks up. Plus they have a ton of great info on boosting your water efficiency. Yup, back to the bog. 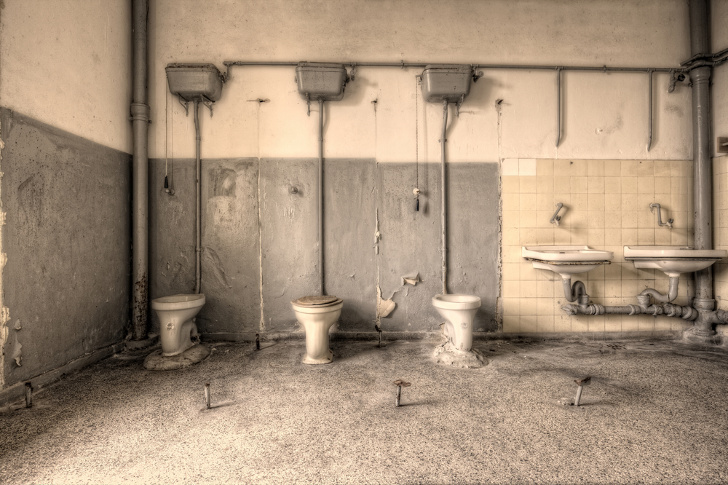 The lavatories of yore use a whopping 3.5 to 7 gallons per flush. Federal standards, however, have required that toilets sold since 1994 can only use 1.6 gallons per flush. Think of how many times a day you go, and you can be sure that replacing that one old cistern in your home can make a huge difference. Higher efficiency toilets use even less water—as little as 1.28 gallons per flush. And if you want to go for an all-out bathroom overhaul, check out these amazing, gorgeous, water-saving faucets that are hitting the the market. If you’re a renter, or not quite ready to call in the plumbers, there are plenty of DIY hacks to save water in the bathroom. We can recommend a few from the mundane, such as filling a mason jar with water, screwing the lid on tight and placing it in the back of your cistern, or turning the water off when you’re brushing your teeth, to the far more entertaining, such as sharing that quick morning shower with your partner. And, of course, the age-old adage, “if it’s yellow…” you know the rest. You know when you’re just getting ready to wash your hands and take a shower, and you knock that faucet on and wait for the water to heat up? There are ways to make sure you avoid the wait and don’t waste water and energy. According to Consumer Reports, heating up water consumes 30 percent of household energy usage. 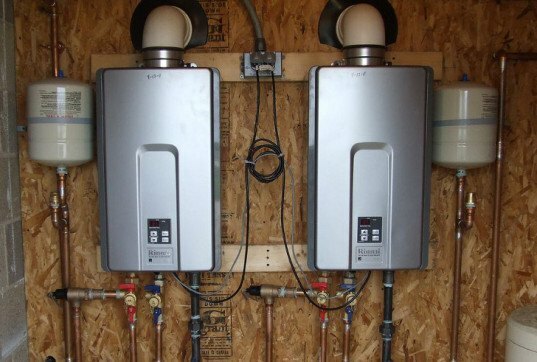 Gas-powered tankless hot water heaters go a long way to cutting down on waste, or, alternatively, a recirculation pump will give you instant hot water when you need it. Lawns are, by nature, total water hogs. Turf needs significantly more water than most plants, and those pesky sprinkler systems have a way of sending water everywhere: when a drought hits it simply isn’t realistic to have large swathes of greenery encircling ones home. So there are various—reportedly not-so effective—sprinkler and hosepipe bans in place, and some regions are even asking neighbors to report on one another for landscape-based water wastage. But that doesn’t mean your garden has to lie fallow. Rain gardens are a brilliant way to create low-maintenance luscious areas. The small, depressed beds, planted with native shrubs and the like, are positioned to make the best use of rainwater runoff from ones roof or drains. In recent years, they’ve been touted as a great solution for areas with excess moisture, absorbing polluted water into the plants before it seeps into the ground. 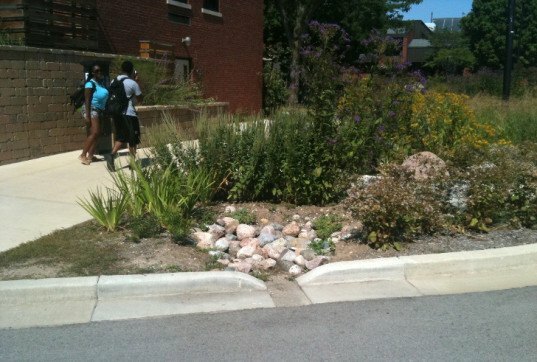 But it turns out, rain gardens are also pretty sustainable in drought-stricken areas. If you’re not ready to pull out the shovel and track down a bevy of native plants, you can always start collecting that much-needed rainwater for yourself. There are tons of different rainwater collection systems out there, from barrels one can modify oneself to neat systems that can hang flat against the exterior of ones home. One teenager in the North Bay area has even designed a rainwater-collecting fence. 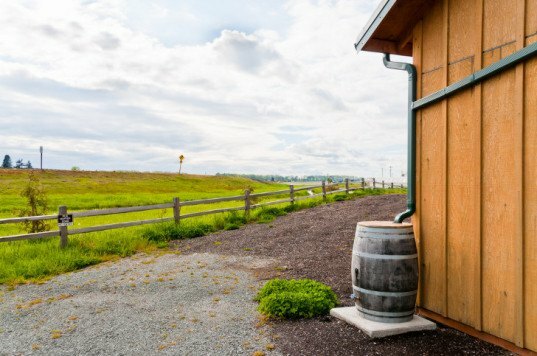 Collected rainwater doesn’t just have to be used for watering plants, either; if you have enough, you can use it for flushing toilets and even doing laundry. 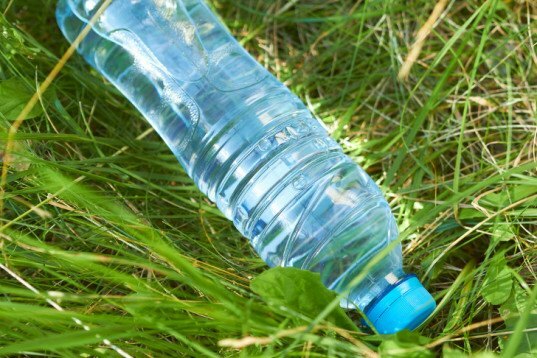 This should go without saying, but DO NOT BUY BOTTLED WATER. Nestle, for instance, is filling its bottles with water from the most drought-stricken parts of California. They have one plant, located on the Morongo Band of Mission Indians’ reservation, which is exempt for federal regulations, and is drawing an undisclosed amount of water from the ground, bottling it and exporting it. It may be hot and dry outside, but invest in one, good reusable bottle. Check out a few of our suggestions here, or make an edible one!. Also, reconsider those almonds. They may be delicious and nutritious, but 70 percent of the world’s supply comes from California, and it requires a full 1.1 gallons of water to grow one, single almond. We've rounded up some of the best water-saving tips and products that everyone can use to help fight against the coming drought. If you're trying to save water, it really helps to know how much you're using. While the most egregious offenders—looking at you baths and toilets—may be pretty obvious, a smart phone app to track where your water goes, when, and how much gives you far greater control. 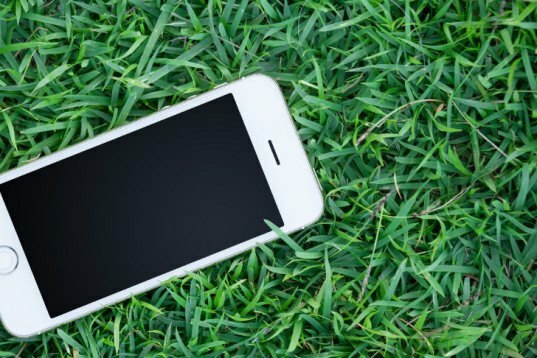 DropCountr's founders claim to have created "the first mobile app to connect consumers with their water use, empowering them to save water and money." Not only does it track your water usage, it alerts you to possible leaks and allows you to set consumption goals for the month. DropCountr may be the first app of its kind, but it certainly won't be the last. The Water Hero is a stand alone module that attaches to your municipal water meter and communicates info on usage via smart phone app. Not only that, but it can alert one to leaks and provides an auto-shut off measure if a problem is detected. It was successfully funded on Kickstarter late last year, and delivery will begin this Fall. 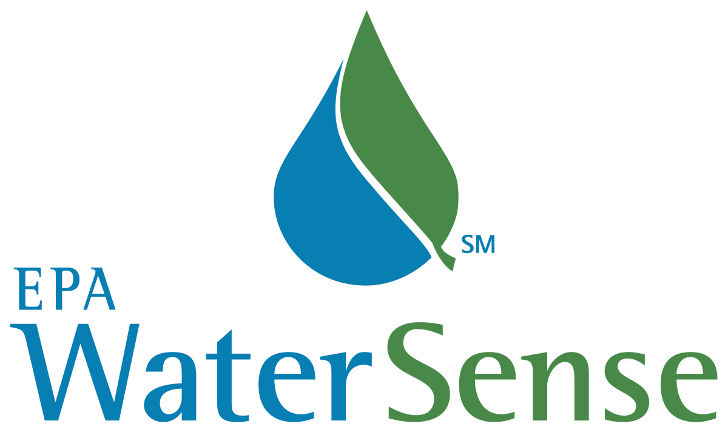 2) Buy smart: Look for the EPA's WaterSense sticker By now we're all used to looking at the EnergyStar ratings on appliances when we're shopping around, but did you know the EPA has launched an initiative to give a shout out to household appliances that conserve water? Not only that, but you can search their website to see how your toilet, showerhead or weather-based landscape irrigation system stacks up. Plus they have a ton of great info on boosting your water efficiency. By now we're all used to looking at the EnergyStar ratings on appliances when we're shopping around, but did you know the EPA has launched an initiative to give a shout out to household appliances that conserve water? Not only that, but you can search their website to see how your toilet, showerhead or weather-based landscape irrigation system stacks up. Plus they have a ton of great info on boosting your water efficiency. If you're a renter, or not quite ready to call in the plumbers, there are plenty of DIY hacks to save water in the bathroom. 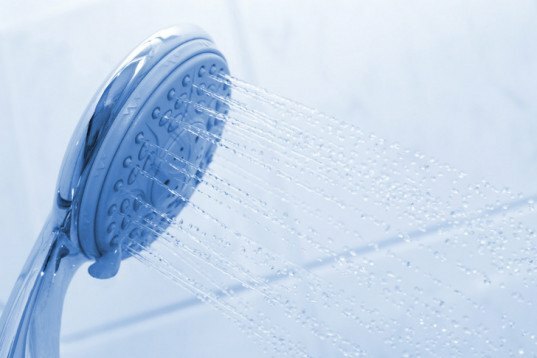 We can recommend a few from the mundane, such as filling a mason jar with water, screwing the lid on tight and placing it in the back of your cistern, or turning the water off when you're brushing your teeth, to the far more entertaining, sharing that quick morning shower with your partner. And, of course, the age-old adage, if it's yellow... you know the rest. 5) Keep the hot water flowing without the waste: Invest in a recirculation pump or a tankless hot water heater You know when you're just getting ready to wash your hands and take a shower, and you knock that faucet on and wait for the water to heat up? You know when you're just getting ready to wash your hands and take a shower, and you knock that faucet on and wait for the water to heat up? There are ways to make sure you avoid the wait and don't waste water and energy. According to Consumer Reports, heating up water consumes 30 percent of household energy usage. 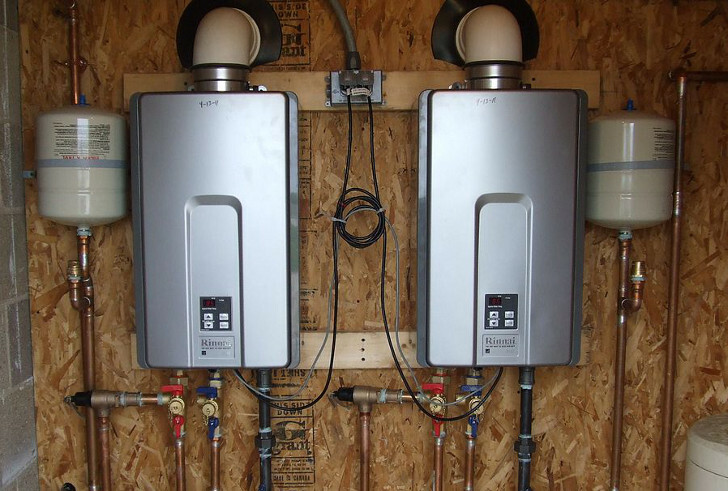 Gas-powered tankless hot water heaters go a long way to cutting down on waste. Or, alternatively, a recirculation pump will give you instant hot water when you need it. Lawns are, by nature, total water hogs. Turf needs significantly more water than most plants, and those pesky sprinkler systems have a way of sending water everywhere: when a drought hits it simply isn't realistic to have large swathes of greenery encircling ones home. So there are various—reportedly not-so effective sprinkler and hosepipe bans in place, and some regions are even asking neighbors to report on one another for landscape-based water wastage. But that doesn't mean your garden has to lay fallow. Rain gardens are a brilliant way to create low-maintenance luscious areas. The small, depressed beds, planted with native shrubs and the like are positioned to make the best use of rainwater run off from ones roof or drains. In recent years, they've been touted as a great solution for areas with excess moisture, absorbing polluted water into the plants before it seeps into the ground. But it turns out, rain gardens are also pretty sustainable in drought-stricken areas. If you're not ready to pull out the shovel and track down a bevvy of native plants, you can always start collecting that much-needed rainwater for yourself. There's a ton of different rainwater collection systems out there, from barrels one can modify oneself to neat systems that can hang flat against the exterior of ones home. One teenager in the North Bay area has even designed a rainwater-collecting fence. And collected rainwater doesn't just have to be used for watering plants, if you have enough you can use it for flushing toilets and even doing laundry. This should go without saying, but DO NOT BUY BOTTLED WATER. Nestle, for instance, is filling its bottles with water from the most drought-stricken parts of California. They have one plant, located on the Morongo Band of Mission Indians’ reservation, that is exempt for federal regulations, and is drawing an undisclosed amount of water from the ground, bottling it and exporting it. It may be hot and dry outside, but invest in one, good reusable bottle. Check out a few of our suggestions here, or make an edible one!. Also, reconsider those almonds. They may be delicious and nutritious, but 70 percent of the world's supply comes from California, and it requires a full 1.1 gallons of water to grow one, single almond.